We have specialist Drama teachers to teach all year groups. We also have an excellent Speech and Drama department which offers individual lessons for a range of New Era examination courses. Drama lessons for KS3 involves two lessons per week as a “double” lesson in our specifically designed Drama studio or Croft II Drama space. The KS3 Drama curriculum is based upon developing pupil imagination, communication and creativity whilst assessing their progress in the three essential areas of making, performing and responding in Drama. The KS3 Drama curriculum has been designed to introduce and sustain the continual assessment of pupils according to the Drama Assessment Level descriptors published in the Arts Council document “Drama in Schools” as well as the assessment criteria and marking of GCSE Drama. The curriculum content, delivery and assessment format focuses on the development of Drama skills in the following areas – Making and Creating, Performing and Responding & Evaluating. At GCSE Level, we follow the OCR Specification. Our GCSE Drama course has been designed to be a practical, engaging and creative specification for students to study. It will provide opportunities to understand and create Drama as a practical art form in which ideas and meaning are communicated to an audience through informed artistic choices. 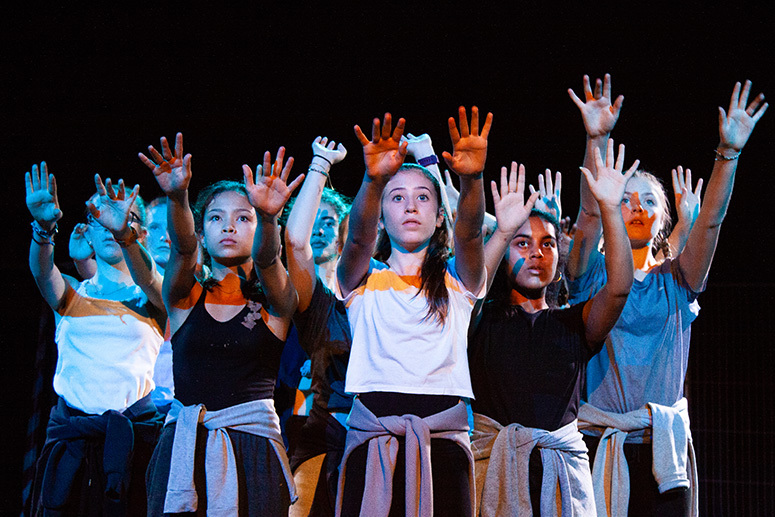 It will allow students to study Drama in an academic setting, interrogating this art form and applying their knowledge and understanding to the process of creating and developing Drama and to their own performance work. It will prepare learners for the further study of a range of higher educational courses as well as Drama or Performing Arts courses and helps in developing transferable skills desired by further education, higher education and employers in all sectors of industry. Our course helps create independent learners, critical thinkers and effective decision makers – all personal attributes that can make them stand out as they progress through their education and into employment. The non-exam assessment allows students to explore their own interests and develop their skills in either performance or design. It also provides freedom for students to experiment and take risks with their work while developing their own style.